The living room is a hub of home life — it’s where you kick back to read, watch movies, gather with friends or even get a little work done. It’s also, for those very same reasons, a room that tends to be clutter-prone. If your goal is a beautifully organized home that has a place for everything so you have room to enjoy your downtime, this is a good place to begin. 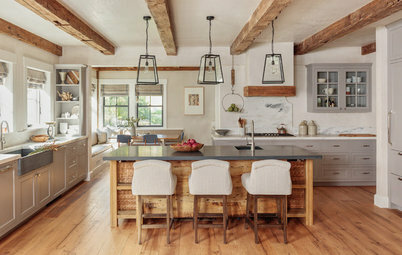 Peruse these 10 inspired ideas and tell us whether you could see any of them working well in your home. 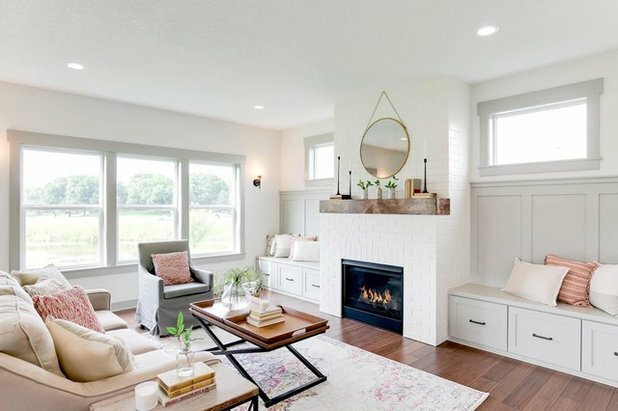 The built-in benches provide roomy storage beneath the seats in this Minneapolis living room from builder Precision Homes. You can use large drawers like these to store board games, toys, guest bedding or just about anything else you can’t find a home for. 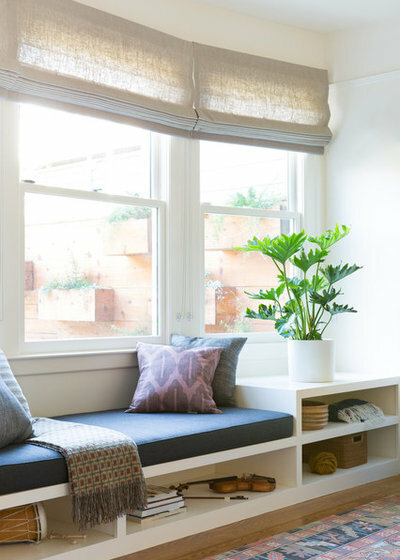 Alternatively, take a cue from this chic living room window seat from Regan Baker Design, which includes a sunny reading spot, tabletop surface and open storage. 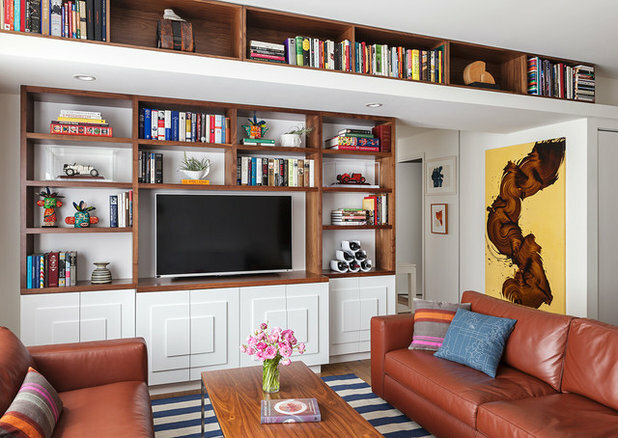 If your living room shelves are currently crammed with movies, video games and other not-so-display-worthy objects, consider shifting these items to hidden storage and devoting open shelf space to things that are both useful and pleasing to the eye. 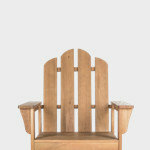 Think books, a wine rack or bar tray, magazine files for papers or periodicals, and a few small plants or framed photos. Hide those DVDs and video games inside baskets (see No. 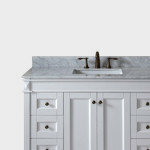 4) or behind closed cabinet doors, as seen in this space from Christy Allen Designs. When guests are arriving soon and you need to clean up in a hurry, a double-layered coffee table makes it easy to make room. The lower shelf can easily hold remotes and magazines — for extra organizing points, stash a small basket below deck to hold random small items like loose change and hair ties. Another way to bring order to open shelves is with baskets, bins and boxes. 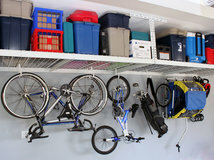 The key to making your containers work for you is to wait until you know what you need to store before choosing them! Square baskets or bins — like the ones in this family-friendly living room from Jill Cordner Interior Design — are great for storing stacks of video games and movies, kids’ toys and blankets. 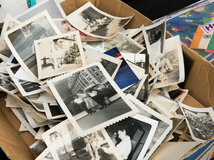 Smaller covered boxes can hold loose photos, craft supplies or remotes. 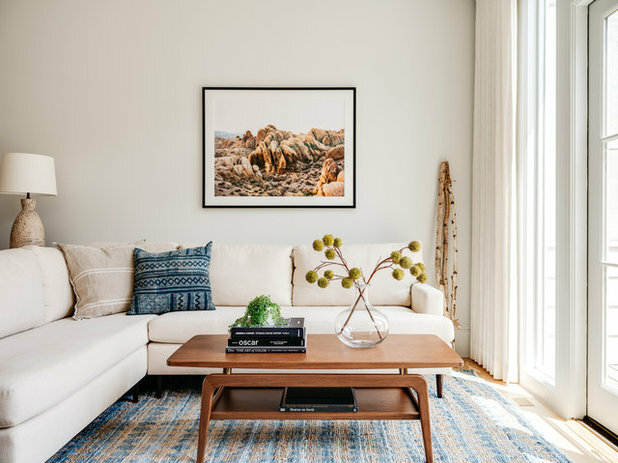 If you have a spacious living room or open-plan space, you may be able to “float” your sofa away from the wall — an arrangement that helps divide your space and lets you add storage behind the couch. 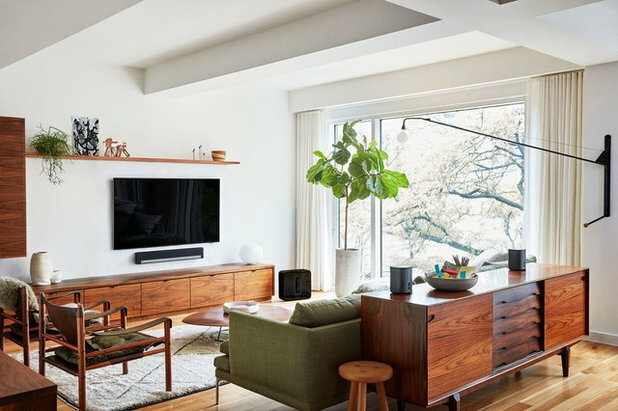 A credenza (like the midcentury version seen here) offers ample storage space. A console table with drawers is another good option; tuck large baskets or a storage bench beneath it to maximize the storage potential. Just be sure that any piece you choose to sit behind your sofa isn’t more than a few inches above the height of the cushions. 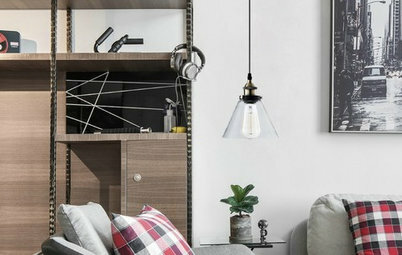 Tip: If you’d like to set lamps on the credenza behind your sofa, it can be well worth the effort and expense to hire an electrician to install floor outlets nearby. Wherever the outlets are, never run cords under a rug — it’s a fire hazard. 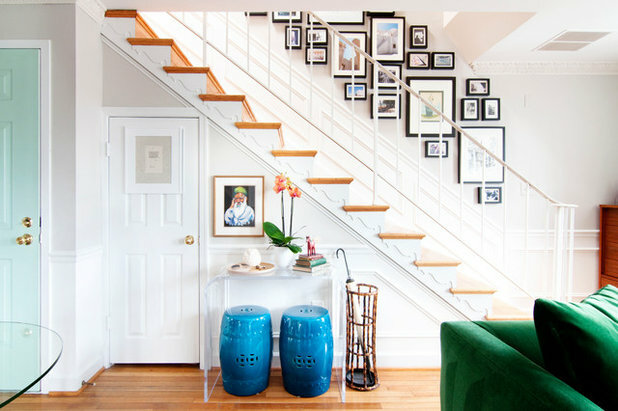 For the townhouse living room seen here, the design team at Décor Aid put a classic library ladder to use. 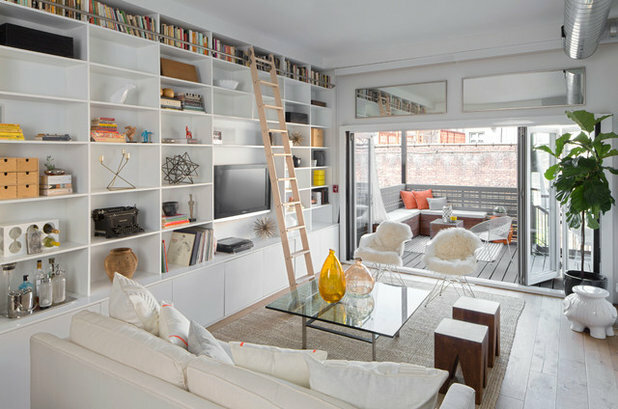 Affixed to the top of a custom built-in wall unit, the ladder provides access to the highest shelves and easily rolls aside when the TV is on. If your living room is short on storage space and you want to really max it out, a floor-to-ceiling unit like this can be a game-changer. Do you or your kids need a little room to work (or play video games) in the living room? 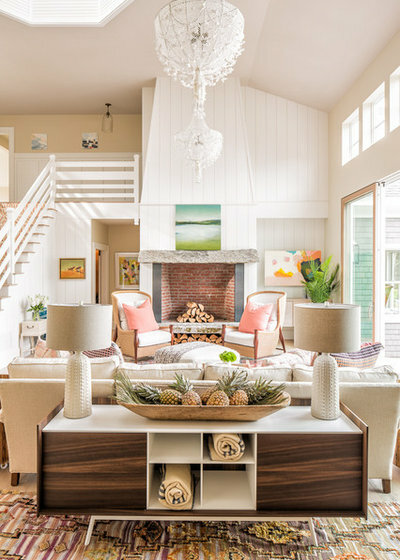 In this hardworking family room from Cory Connor Designs, a cushioned bench on wheels slides out to access a workstation. Tucked in, it looks like another cabinet. The vibrant turquoise bookshelf backs highlight the carefully chosen family photos and objects. In this living room from Neville Johnson, cabinet doors swing open to reveal a petite stool, transforming a sliver of countertop into a workstation complete with well-organized desk drawer. Since the advent of flat screens, hiding the TV doesn’t seem as necessary as it once did. That said, even if you don’t mind having your flat screen on display, you’re probably not wild about having to look at all the related cords and other electronics (Blu-ray player, video game system, router, etc.). 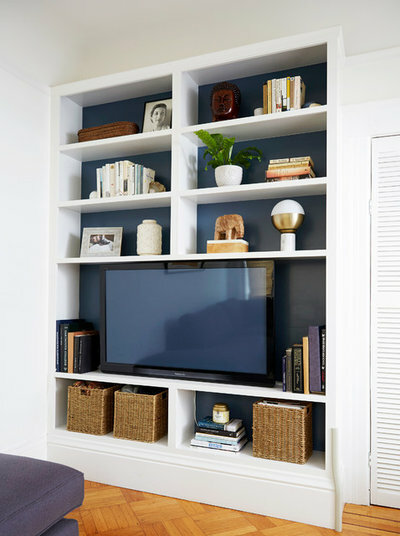 Instead of trying to snake cords along the wall, hire a pro to get your entire media center set up in a way that hides what you want to hide, effortlessly. 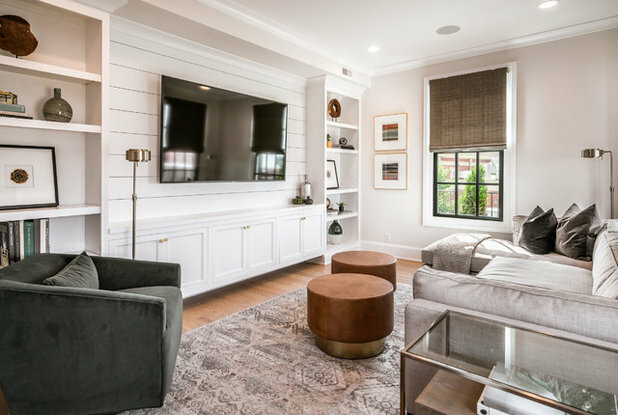 This farmhouse-style media center from Leslie Cotter Interiors is a great example of how to do just that: Electronics are concealed in built-in cabinets below the TV, and all cords are hidden behind the wall. 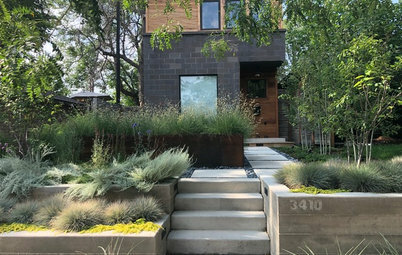 If your front door opens into the living room, you know what a challenge it is to keep all those out-the-door essentials from getting dumped on the couch or coffee table. The solution? 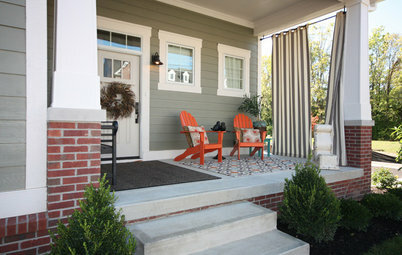 Carve out a petite yet well-organized entry zone near the door. 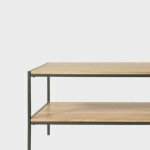 This slim acrylic console table takes up zero visual space but provides a place to drop mail and keys on the way in. 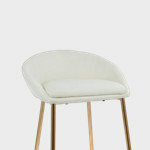 Tuck a stool or two below to use as a perch for putting on shoes. 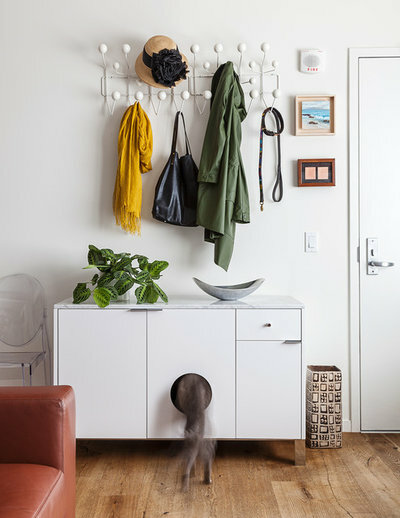 In this San Francisco living room from Christy Allen Designs, a custom credenza provides a surface and drawers for necessities — plus a sneaky spot for the cat box. Wall hooks can hold hats, coats, bags and more. Perfectly organized and arranged open shelves can look beautiful in photos, but open shelves can be hard to keep looking good in real life. In the living room, it helps to have a mix of open and closed storage so you can hide away messier-looking items instead of stressing about keeping the shelves presentable. 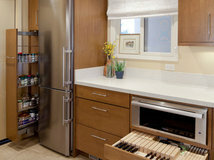 But having some open storage is good too — just choose what you keep on your open shelves with intention. Books, framed photos and decorative objects are good choices; everything else can go in drawers or behind doors. 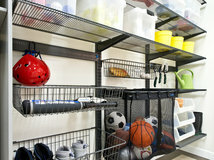 The more items you want to be able to stash away, the more closed storage you should aim for. 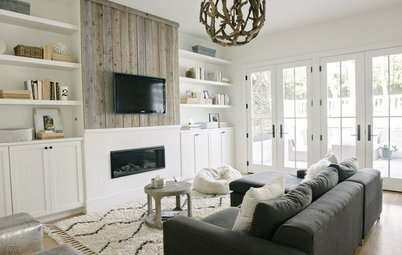 Share: Would you consider adding any of these features to your living room? 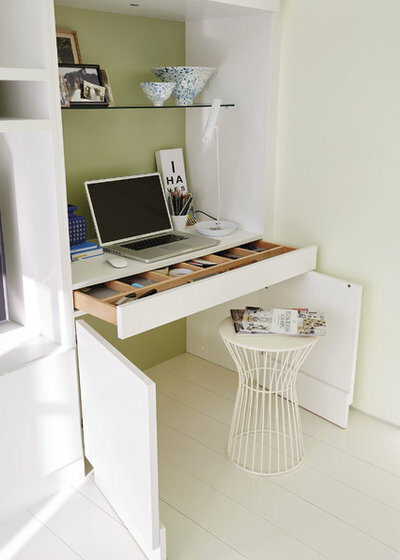 Or do you have another creative way of making the most of your space? Tell us in the Comments. 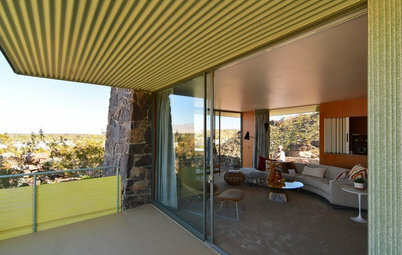 Loren D, I'm not saying I want rooms to "scream" with color. I want rooms that look like they are warm & comfortable to live in. These rooms, to me, are stark & cold looking. These look like the modern Scandinavian homes that have icy colored interiors. That's one thing I could never understand. 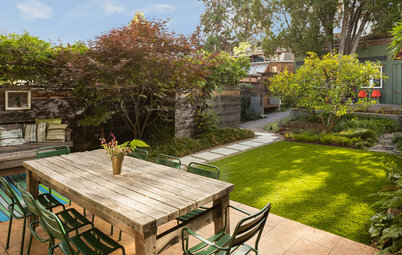 If you live in a cold climate why would you want your interiors to reflect more of what's outside???? the sets look okay but I like lots of windows and well litted rooms. I also like colors but don't see much of that in the mix. I will check in again to see another sets of spaces on your platform. 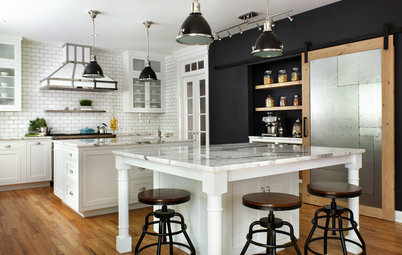 I love white/grey colored rooms!